Windows 10/Windows 7 Dual Boot. I got some games that refuse to run in windows 10. I have a legit copy of windows 7. So I am thinking about dual-booting windows 7, so I can play my old games again and only using the windows 7 OS to play old games that won't work on Windows 10. So I just want to make sure I have this right before I do it. I don't want to mess up a perfectly fine and working install of windows 10 for an OS I left behind months ago. In windows 10, partition off a unallocated section of the C; Drive that I have windows 10 installed on. Empty section of it naturally. install windows 7 to the newly partitioned unallocated section that I just made. Now at this point, I assume a window will pop up before booting with the selection to either boot into windows 10 or windows 7? If any of that is wrong, please let me know. Last edited by shimshom; 20 Oct 2015 at 20:35. You have to have the older OS installed first. At least with all the other MS OS's, it wouldn't work with the newer one installed cause of the MBR has to change and be the newer one. Please anyone, correct me if I'm wrong. No correction required. The older OS doesn't know about the new one so first you need to install the older one than the new one. After Win 10 or 8.0/8.1 for that matter has finished installing you should see a dual menu in the style of the last installed OS on the next reboot. Old style bios has the MBR BCD store modified, EFI style bios uses the existing EFI partition to add entries of new OS to. Should you use say a drive for each OS and both are enabled during set up of the last install and you tell Windows to install the new OS on the second HD then the first HD has to remain active or the second OS won't boot. If only one is enabled during install then you need to use the bios boot menu (usually invoked by pressing F12 at boot) to pick whatever system you want to boot into. Probably only useful if one of the installed systems is only temporary I guess. Now two corrections are required. Have you actually tried installing Windows 7 from Windows 10? 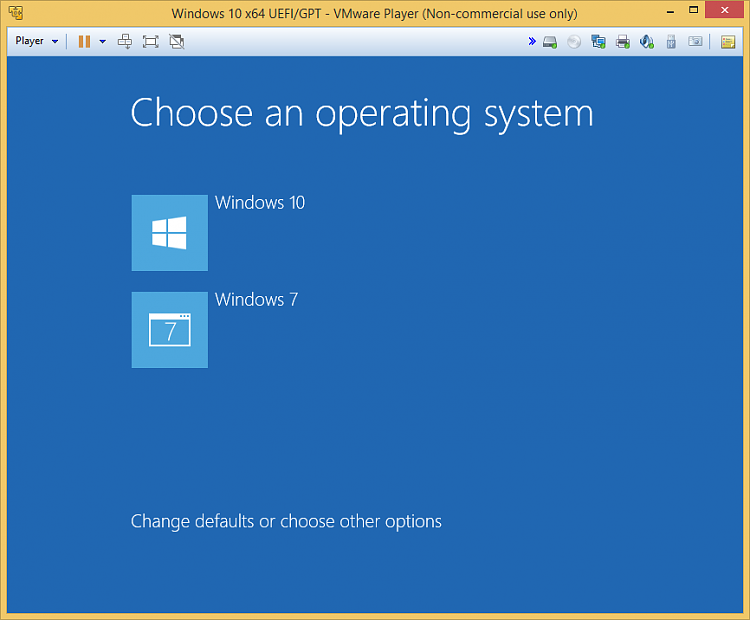 Windows 7 will setup dual booting if installed from Windows 10 to a second partition. I've done it. However, to be fair, both systems I have done it on have older, legacy style booting bios. So installing to a second partition on the same drive won't work then? I would need to install it to another hard drive, then use a boot menu from bios to boot into 7 when I want to play older games? You can install Windows 7 to the same hard drive or to another hard drive. 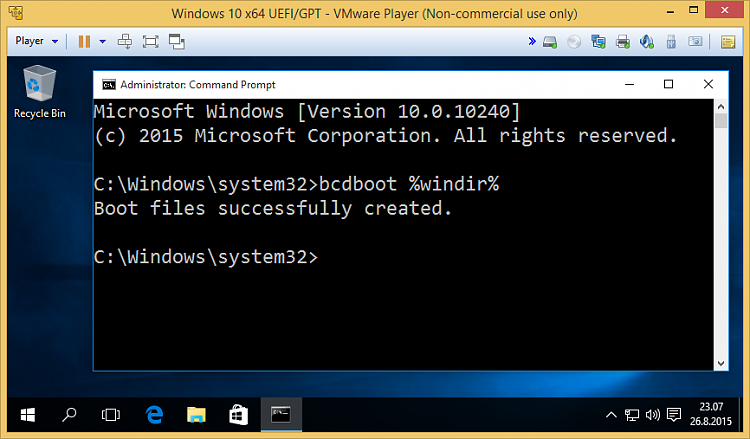 After the installation you can choose an operating system to start (see screenshot below). If you want the Windows 8/10 style dual boot page (see screenshots below). 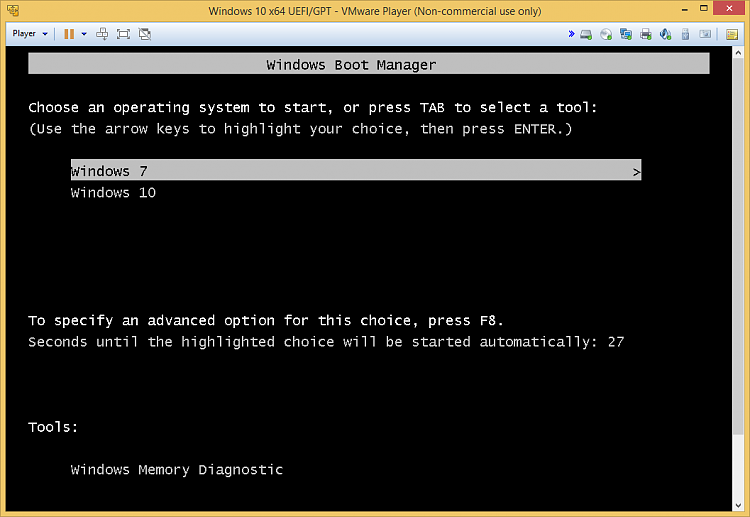 Other Info: UEFI firmware (BIOS) embedded Windows 8 product key. genet's experience above was exactly the same as mine, on two different computers. Both of mine the Windows 7 was installed to a second partition on the same hard drive. That works indeed but it's a bit more complex. Never tried that on a UEFI system but in theory it should work just the same. While Win10 may complain about its GPT partitions not being in the expected order, my experience is that it's not really an issue. There's a link to free version. You don't even have to "register". When you get to the registration page, just click download. I have Windows 10 Home on my PC and I'd like to dual boot Windows XP on top of windows 10. But how to do that since after XP, Windows 10 MBR will be lost. I want to dual boot my PC which has a pre installed windows 10 with mac OSX. I have only one HDD. I have searched many forums and sites but was not able to find any suitable help. Please help me out.